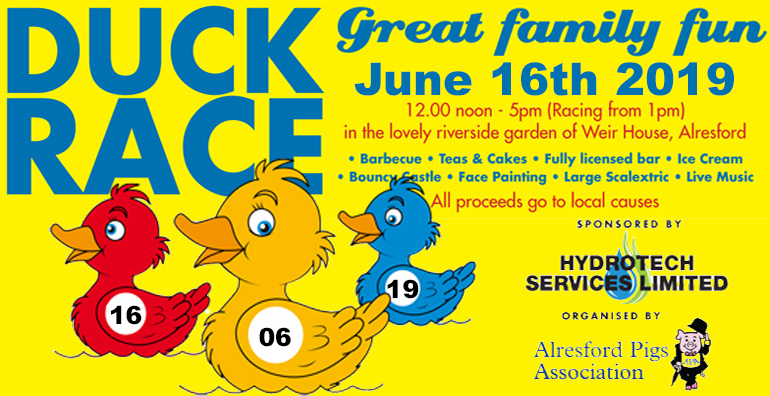 Yes 2019 sees the return of the legendary Alresford Duck Race. Organised by your Pigs and generously sponsored yet again this year by Hydrotech Services, we're hoping to top 2015's incredible total of £9,000 raised for local causes. Join us on Sunday June 16th 2019 in the beautiful surroundings of Weir House, home of George and Janette Holingbery who are yet again allowing us to host this wonderful event in the gardens of their home.